Built from a 200-year-old colonial manor using repurposed materials from its property to add a series of unique extensions. 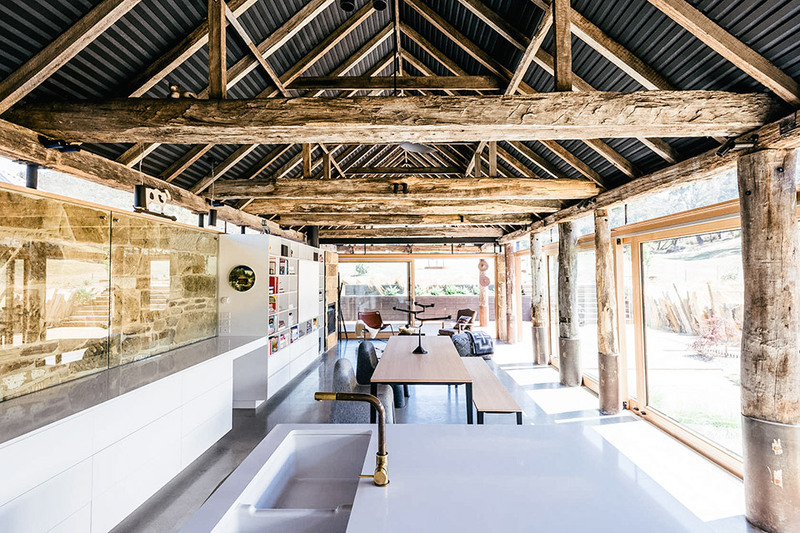 The stone and timber for the project were salvaged from a collapsed barn dating back to 1820. 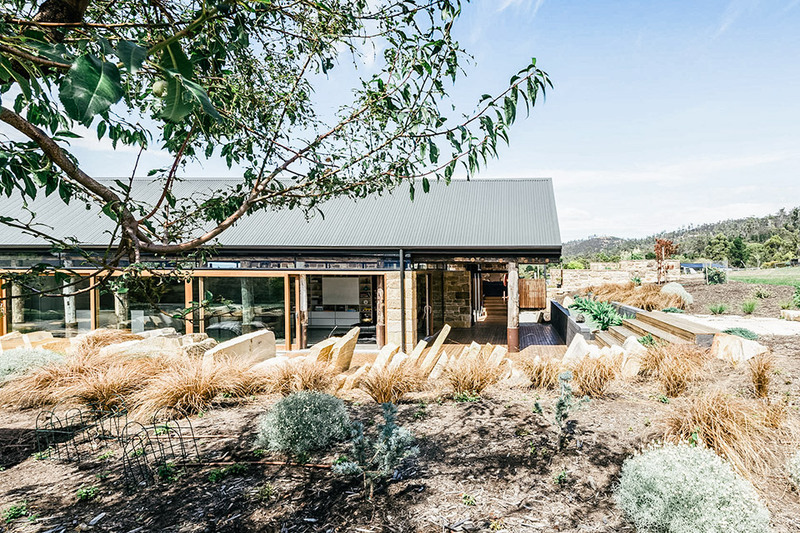 Once the building was carefully disassembled, the materials were refurbished and built into a group of outbuildings surrounding a courtyard at the rear of the home. 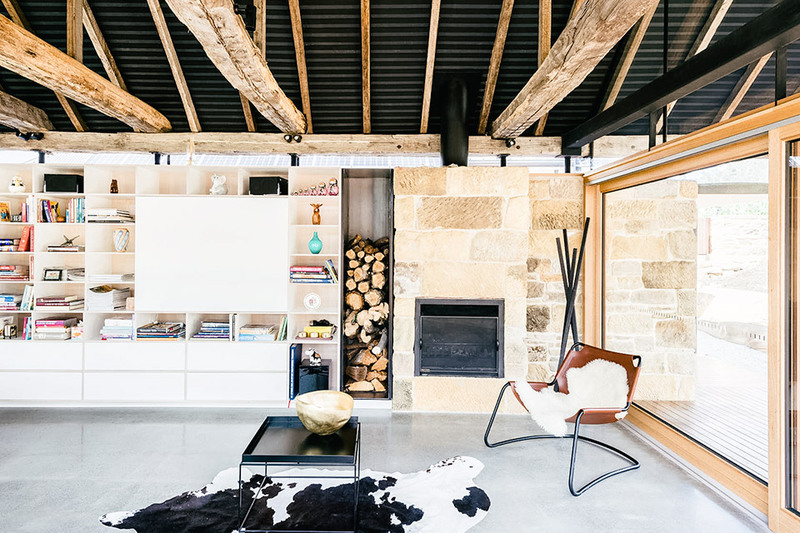 The interior has a modern aesthetic — with clean white walls and polished concrete floors — while the addition of the pit sawn beams and ancient stone add an authentic quality that echoes back to the home’s original heritage.